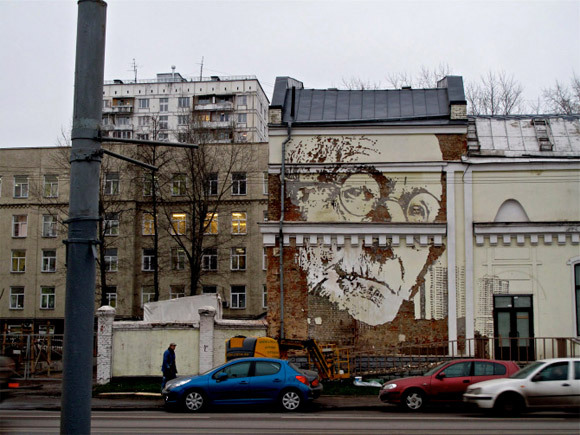 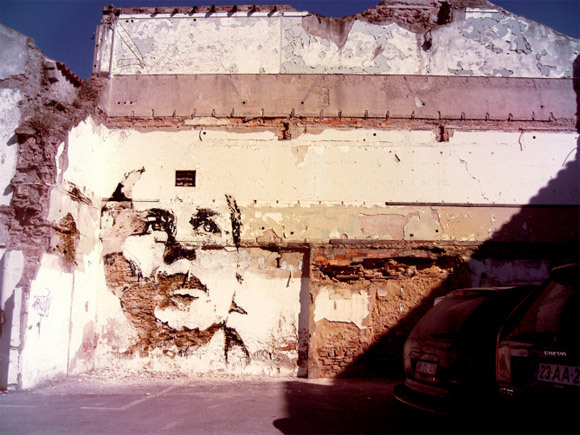 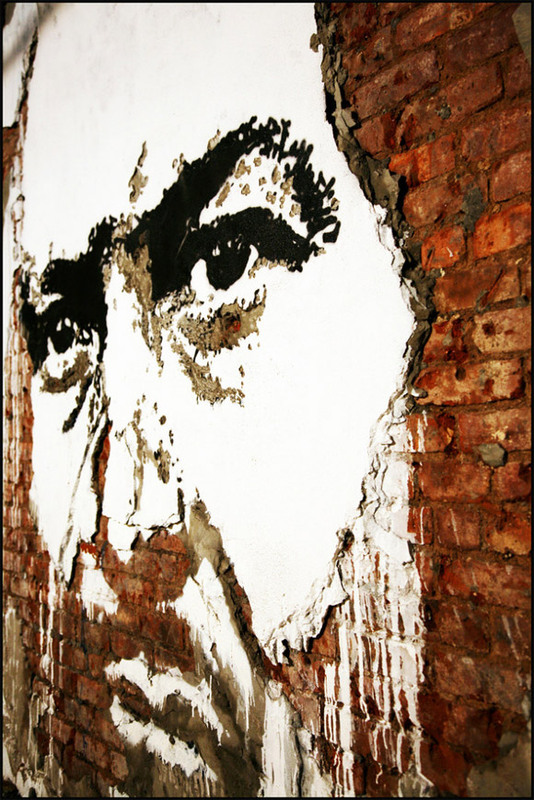 Portuguese artist, Alexandre Farto aka Vhils takes street art to a deeper level with his deconstructed street portraits. 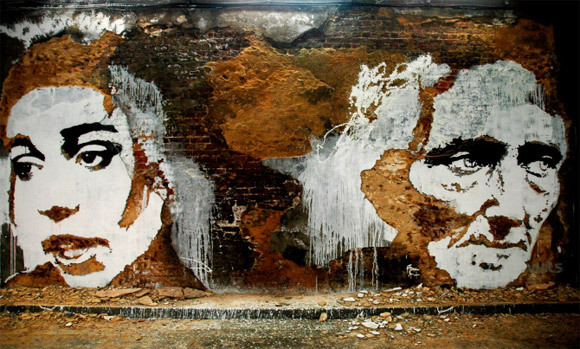 He creates striking multi-textural faces in decaying brick walls by meticulously chipping away at the wall’s weathered layers. 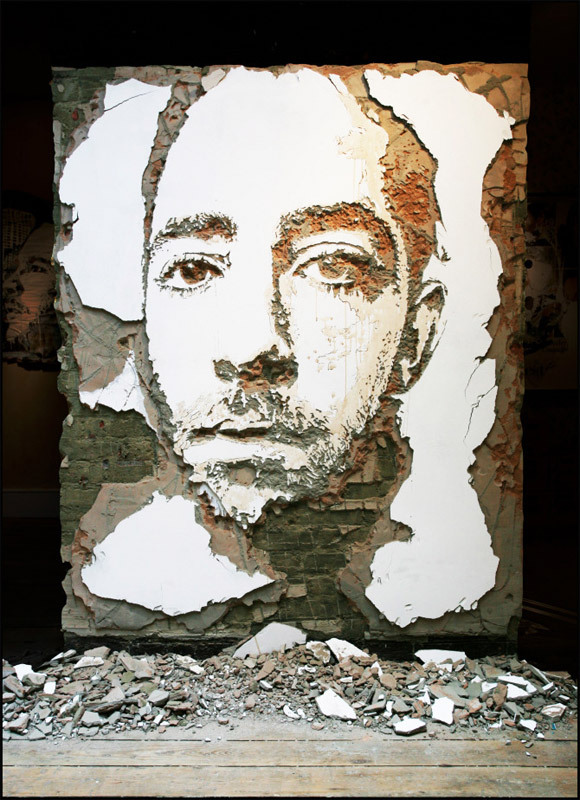 Vhils brilliant work ranges from paper, wood, metal and billboards and can be seen in galleries and streets around the world.